Workplace Giving is a program that is initiated by an employer so that their employees can donate to a charity directly from their salaries. The Girls Academy Workplace Giving Program provides your company with an opportunity to engage your employees in working together towards a common goal of supporting Aboriginal and Torres Strait Islander girls. Workplace Giving enables employees to make a small pre-tax donation direct from their pay. 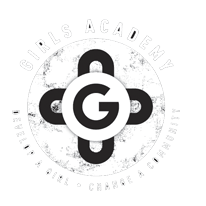 Your employees may not even notice the deduction but the girls enrolled in the Girls Academy will benefit greatly from your continued support. If we work together, as little as $2 per pay, less than the cost of a coffee, we can make a profound difference to the lives of at-risk Aboriginal girls. Find out more by viewing the attached Workplace Giving information document, or contact us directly to become a Workplace Giving donor.